Here is a brief story of how we became Little Taste of Britain. I come from a small village in England called Woodend, my family name was Bodily. I was brought up in a hard working blue collar family, my father worked long hours while my mother stayed home and looked after myself and my 4 brothers. I met Nick in 1989 who was soon to become my husband and soul mate in 1993. Nick worked for the United States Air Force at Upper Heyford and had been in England for 26 years, he originally came from Montana. We have 3 sons, Christopher, Daniel and Samuel. We decided to move to the States in 2004 to start a new life. My eldest son Christopher decided to stay in England as he had just started University so he could get his degree in music. We decided to settle in Layton, Utah and start our new adventure. Nick was employed at the Hill Air Force Base for Services. I stayed at home with my children. After the kids were settled into school I started to get homesick, so once I received my green card I started looking into opening up my own business. I chose the name Little Taste of Britain through one of my favourite tv shows in England. 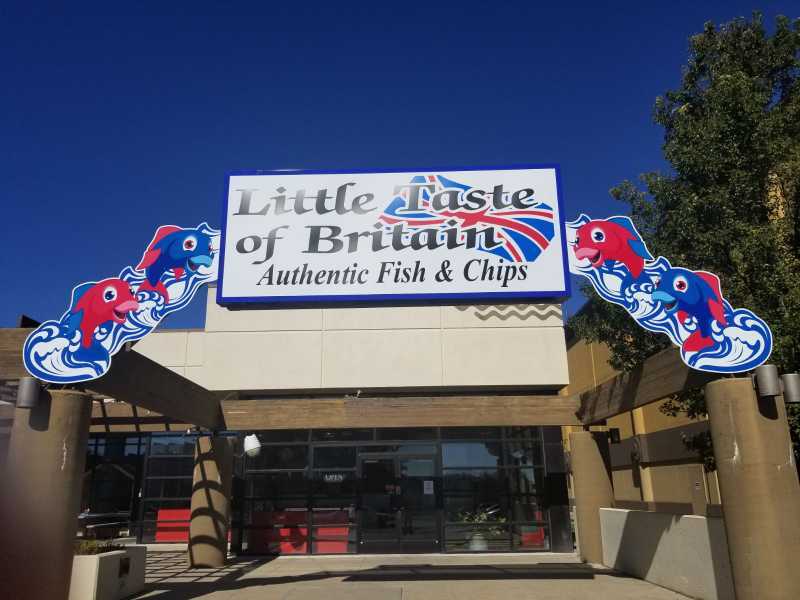 I first opened up Little Taste of Britain in October 2007, which then was a British Grocery Shop (just like a small village shop). After a year I had a lot of customers saying that they missed good fish and chips, so with that said I went back to England to my local fish and chip shop and took a course on preparing and serving the best fish and chips in town. So here we are today with my own restaurant and grocery shop, giving all my customers a Little Taste of Britain.